Minecraft is the game that took over the internet and went viral everywhere and making gaming history. In this article, I show the top 10 Minecraft YouTubers and provide a blurb of what they do. 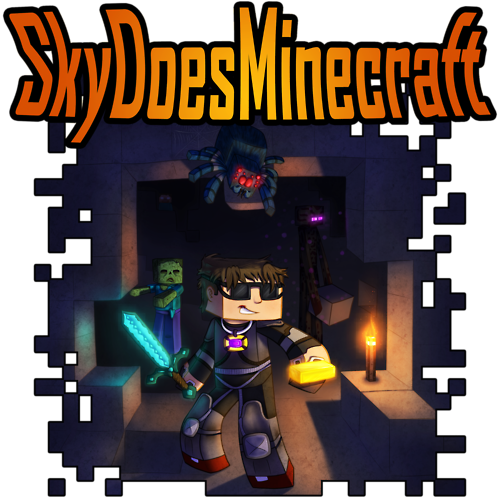 Sky Does Minecraft is one of the most popular Minecraft YouTubers, he makes random minecraft videos which can include comedy skits, mod reviews and lets plays. At the time of writing, Sky has 11,031,139 subscribers, 2,599,601,174 views and has been on YouTube since Feb 27, 2011. Syndicate makes various gaming Let's Plays while the main focus seems to be on Minecraft. Other games he plays include Gangstar Vegas, Reign of Kings, and Five Nights at Freddy's. At the time of writing, Syndicate has 8,852,893 subscribers, 1,649,296,664 views and has been on YouTube since Sep 3, 2010. 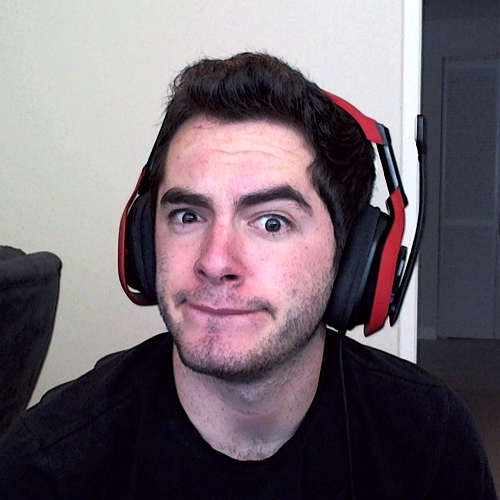 CaptainSparklez is popular for his Minecraft music video animations and has been very successful with them. He also does lots of Let's Plays for Minecraft, most of which are modded. At the time of writing, CaptainSparklez has 8,638,847 subscribers, 1,754,914,182 views and has been on YouTube since Jul 20, 2010. YOGSCAST is a joint channel between two funny guys. They go on many adventures together in Minecraft mini games, mods, and adventure maps, they also enjoy playing various indie games as well as some popular games, such as GTA. At the time of writing, YOGSCAST have 7,294,079 subscribers, 3,066,224,625 views and have been on YouTube since Jul 9, 2008. TheDiamondMinecart does a variety of Minecraft videos, including mod showcases, minigames, and challenges, and he also has some long running let's play series and can be found occasionally playing Sims 4. At the time of writing, TheDiamondMinecart has 6,551,386 subscribers, 3,293,492,990 views and has been on YouTube since Jul 14, 2012. Stampy plays various games on his channel, including LEGO Worlds, Skylanders, and Mario cart. Stampy uploads one new Minecraft video every day, so you always have a new video to watch. At the time of writing, StampyLongHead has 5,909,384 subscribers, 3,613,275,593 views and has been on YouTube since Jul 29, 2011. TheBajanCanadian labels his channel 100% kid friendly, so you can be sure the videos he produces are free from curse words. The videos you will find on his channel include Minecraft songs, toys, factions, mini games, challenges, mods, and more including real-life challenges. At the time of writing, TheBajanCanadian has 4,909,569 subscribers, 1,249,229,619 views and has been on YouTube since Mar 3, 2010. PopularMMOs is a channel that appears to be almost dedicated to Minecraft. There are very few videos that are not related to Minecraft, so if all you want is Minecraft videos, this is the channel for you; you will find mob battles and arena battles, modded Let's Plays, mod showcases, and Minecraft mods vs maps. At the time of writing, PopularMMOs has 4,633,317 subscribers, 2,790,917,224 views and has been on YouTube since Apr 17, 2012. SSundee apparently yells a lot, and he makes a variety of funny gaming videos. His Minecraft videos include Modded Minecraft, mod reviews, and competitions, he also plays random games from time to time. At the time of writing, SSundee has 4,574,292 subscribers, 1,033,757,386 views and has been on YouTube since Nov 27, 2009. Jerome plays all sorts of Minecraft minigames, adventure maps, and Let's Plays, he also makes real-life challenge videos for your entertainment. At the time of writing, JeromeASF has 3,685,207 subscribers, 690,884,365 views and has been on YouTube since Jul 11, 2011. Server responsed at: 04/19/2019 10:19 a.m.